Rick Keene Music Scene; Montreal Jazz Festival Preview – King Crimson. Several short stints in several increments have survived since 1969. Starting with ‘The Court of The Crimson King’ until their upcoming appearance on July 3rd in Montreal – this band is still cutting edge. Please listen below to my chat with Gavin Harrison, one of three drummers within King Crimson. He talks about all of the above and why he thinks touring in a van may not be such a good idea for young bands. Author Rick KeenePosted on May 31, 2017 May 31, 2017 Categories Blues, Cd Review, Concert Review, Interview, Jazz, Review, RockTags Arts, Big Beets, Blues, blues Montreal, bryan ferry, bryan ferry montreal review, Buddy Guy, Canada, celebrities, Dundees ste anne de bellevue, entertainment, garland jeffries montreal, house of jazz, Kaeshammer, keene music, live music rick keene, Mark Rivers, Martin Goyette, Montreal best music, Montreal International Jazz Festival, Montreal Jazz Festival 2017, montreal journalist rick keene music, Montreal music, musictec, Rick Keene music, Rick Keene music Montreal, Rick Keene music scene, rick keene the zombies, rivercat, roxy music, Steve hillLeave a comment on Rick Keene Music Scene; Montreal Jazz Festival Preview – King Crimson. Three ingredients that make up ‘the Chikkaboodah Stew’. Did you miss a new trendy meal? Don’t worry, you can get a taste of the ‘stew’ Saturday night at Smoke Meat Pete in Ile Perrot. ‘The Chikkaboodah Stew’ is the name of The Durham County Poets’ second CD and songs from their soon-to-be-released new CD will be played on Saturday evening. Please listen below as lead singer Kevin Harvey talks about ‘the poets’, their influences and the chemistry within the band. You can also hear a sample from the new album ! The Durham County Poets will be at Smoke Meat Pete March 18th ! Visit the band Here ! Please listen below to some great tunes and upcoming shows in Montreal ! Thank you ! Merci ! Rick Keene Music Scene; What’s Happening Musically in Montreal ! Hard to keep track of the craziness in the world ! At the very least, we have music and lots of it in Montreal ! Author Rick KeenePosted on March 14, 2017 March 14, 2017 Categories Blues, Cd Review, Interview, Jazz, Review, RockTags Arts, Blues, blues Montreal, celebrities, entertainment, house of jazz, jazz toronto, keene music, Matt Anderson, matt Anderson derek trucks, Montreal, Montreal International Jazz Festival, montreal journalist rick keene music, Montreal music, Montreal music scene, Noah Preminger, Rick Keene music, Rick Keene music scene, Saxophone, Steve hill, Steve Hill Blues guitarist montreal, strangers in the night montreal, styx interviews rick keene, styx montreal 2017Leave a comment on Rick Keene Music Scene; What’s Happening Musically in Montreal ! 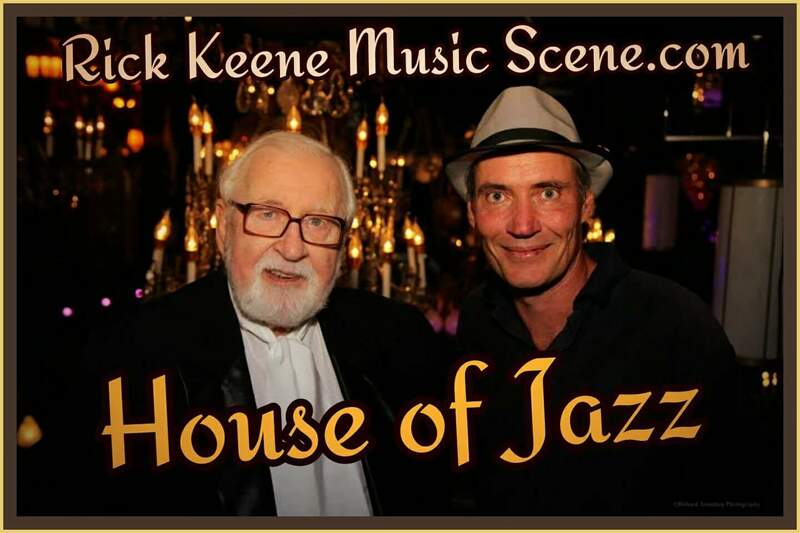 Rick Keene Music Scene; Matt Anderson Talks Stuart McLean, Derek Trucks and Music ! Matt Anderson is ‘that man’. Hard working and a student of music. A passion that has seen his rise atop the Blues scene in North America. Winner of multiple awards and the first Canadian to take a top prize at The Memphis International Blues Competition. Please listen below as Matt pays homage to the late host of The Vinyl Cafe Stuart McLean and gives his thoughts on some great musical talent. Oh ya – you can also hear some of Matt’s great songs from his last album – ‘An Honest Man’. Author Rick KeenePosted on March 10, 2017 Categories Blues, Cd Review, Interview, Jazz, Review, RockTags Arts, Blues, blues Montreal, celebrities, entertainment, house of jazz, jazz toronto, keene music, Matt Anderson, matt Anderson derek trucks, Montreal, Montreal International Jazz Festival, montreal journalist rick keene music, Montreal music, Montreal music scene, Noah Preminger, Rick Keene music, Rick Keene music scene, Saxophone, Steve hill, Steve Hill Blues guitarist montreal, strangers in the night montreal, styx interviews rick keene, styx montreal 2017Leave a comment on Rick Keene Music Scene; Matt Anderson Talks Stuart McLean, Derek Trucks and Music !